Mental health is a good thing. Unfortunately, the term mental health has a negative stigma surround it. However, it is time to for this to change. Just as we think about our physical health, our mental well-being is just as important, if not more. As men, our mental health allows us to be on the top of our game. It allows us to focus and stay the course until we accomplish our goal. Let's begin to look at mental health in a whole new way and become ambassadors to shine a new light to improve the mental health of all men. 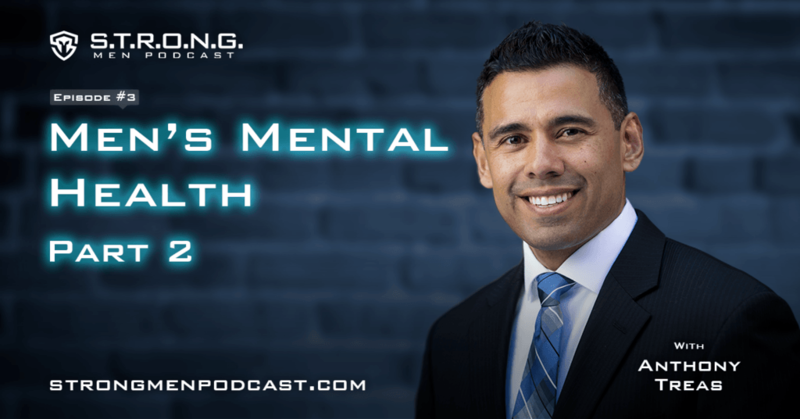 ​The contents of this podcast including website/videos/emails are for informational purposes only and are not intended to be a substitute for professional medical advice, diagnosis, or treatment. This website does not provide medical advice, diagnosis, or treatment. Always seek the advice of your physician or other qualified health provider with any questions you may have regarding a medical condition, mental health, or treatment options.